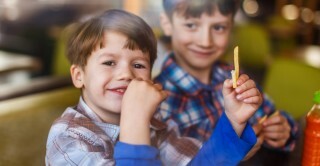 Children born since 1990 are up to three times more likely than older generations to be overweight or obese by age 10, according to a new study. Researchers from CLOSER, a consortium of leading UK longitudinal studies, looked at the body mass index (BMI) of more than 56,000 people born in the UK from 1946 to 2001. They found that around one in ten children born in 1946 were overweight or obese by age 11, compared to roughly one in four 11-year-olds today. Younger generations are also putting on weight more rapidly. These findings will concern policymakers and health care professionals, as it is estimated that the obesity ‘epidemic’ will cost the UK’s National Health Service £22.9 billion per year by 2050. People are also becoming overweight or obese at an increasingly younger age, say the researchers who have published their findings in the American journal, PLOS medicine. Half the men of the 1946 generation were overweight by the time they were 41 years old, compared to age 30 for men born in 1970. Half the women born in 1946 were overweight by age 48, compared to 41 for the 1970 generation. While childhood obesity is more prevalent among more recent generations, the majority of today’s children are still a normal weight. No other study has been able to track weight gain across as many generations, or through as much of their lives (from age 2 to 64 for the oldest participants in this study). Professor Rebecca Hardy of University College London, one of the report’s authors, explained: “The more of their lives people spend overweight or obese, the greater their risk of developing chronic health conditions such as coronary heart disease, type 2 diabetes, high blood pressure and arthritis. This research uses data collected by five British birth cohort studies: the MRC National Survey of Health and Development (also known as the 1946 British birth cohort), the National Child Development Study (also known as the 1958 British birth cohort), the 1970 British Cohort Study, the Avon Longitudinal Study of Parents and Children (also known as Children of the 90s), and the Millennium Cohort Study. How has the age-related process of overweight or obesity development changed over time? Coordinated analyses of individual participant data from five United Kingdom birth cohorts, by William Johnson, MRC Human Nutrition Research at Cambridge; Leah Li, UCL Institute of Child Health; and Rebecca Hardy and Diana Kuh, MRC Unit for Lifelong Health and Ageing at UCL, will be published in latest issue in PLOS Medicine. BMI is calculated by dividing an individual’s weight in kilogrammes by their height in metres squared. The authors used the International Obesity Task Force guidelines to determine whether a person was underweight, normal weight, overweight or obese. The study only included people of white ethnicity as there were not sufficient numbers of people of non-white ethnicities in the older cohort studies to carry out the analysis on other ethnic groups. The difference between a healthy and an unhealthy BMI differs between ethnicities, so the findings from this study may not be the same for other ethnic groups. The authors used data from five UK birth cohort studies: the MRC National Survey of Health and Development (1946 birth cohort study), the 1958 National Child Development Study, the 1970 British Cohort Study, the Avon Longitudinal Study of Parents and Children, and the Millennium Cohort Study.